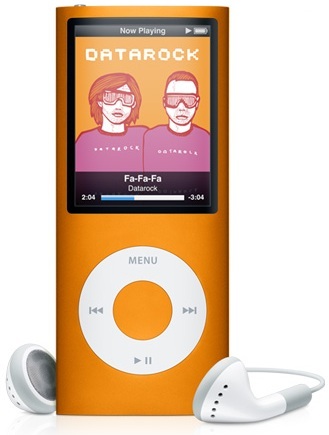 Shoot while you groove and share it with the world, with the dynamic iPod nano 5th generation. 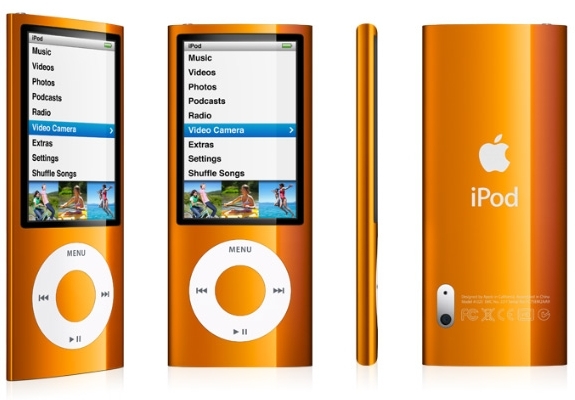 The stunning anodized finish with electrifying orange colour, video camera and 2.2 inch colour display of this Apple MP3 player is a real treat for your eyes. The Genius feature of the iPod nano 5th generation mixes and matches songs that go great together. Shake and shuffle this Apple iPod 16GB for random listening from 4000 songs - swap the capacity for 14,000 photos, or 16 hours of video. The Live Pause function on the Apple iPod 16GB pauses live radio shows, while the Apple MP3 player's pedometer counts every step and is a great workout partner.